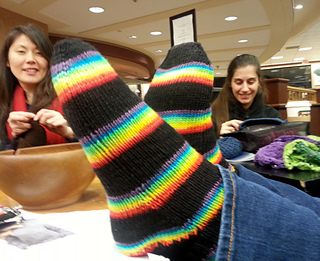 Cast off 2nd sock right at B&N Knit Night! Love it. Re: the pattern … I wasn’t crazy about how the heel was handled, but it’s ok.
Love White Birch’s self-striping! Perfect, wonderful, and so cheerful.